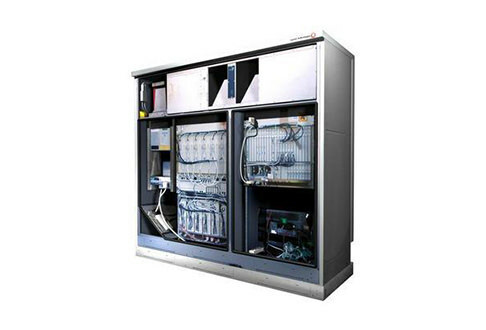 Alcatel Lucent was an early leader in modular cell base station technology, focusing on high capacity and state-of-the-art equipment. Our vast selection of Alcatel Lucent Modcell base stations deliver outstanding carrier density alongside immediate OPEX savings, supporting multiple carriers or sectors per frame. Ask our expert engineers which model is best suited for your network needs both in indoor and outdoor situations with the ability to cover up to the full spectrum in a single frame, making growth and maintenance significantly easier for your team. While other brands such as Nokia have purchased models and the underlying Modcell technology — such as the Lucent Flexent® Modcell — Alcatel Lucent’s gear remains one of the highest performing options for networks that need to expand affordably and securely. Below you’ll find all the supporting equipment you need from power amplifier modules and carrier radios to block and wideband filters. Worldwide Supply has exactly what you need to make the most of your network, especially with leading refurbished Alcatel Lucent Modcell options. Alcatel Lucent Modcell CDMA indoor radio cabinets have been powering networks for nearly a decade with robust models like the BTS and AWS 8420. Combined with a third-party distributed antenna system, these units deliver coverage of the 850, 1900, 2100 and many other MHZ bands in digital, filtered and lower power deployments. The Alcatel-Lucent Modcell provides increased density and immediate OPEX savings with support for up to 8 carriers or 3 sectors per frame. Options can give you greater density than many other indoor models and delivers full-spectrum coverage in a single frame. Newer solutions use the Nokia name and branding but they still build on Bell Labs and Alcatel-Lucent technologies, ensures consistency and improving interoperability. Get your network on the same page with a new or used Alcatel-Lucent Modcell. Find what you need and be sure to ask about our lifetime warranty, 24/7 support, international parts delivery and maintenance packages as well as certifications that ensure you’ll have a reliable, robust piece of equipment each time you order from Worldwide Supply. Worldwide Supply offers a selection of used Alcatel-Lucent Modcells. Each is fully refurbished and certified to be back at original OEM standards for quality and reliability. Even though these devices have reached their traditional EOL and EOS dates, we provide long-term support and a lifetime warranty with each model. You get the significant promise of an Alcatel-Lucent Modcell at a savings of up to 80% off original OEM prices. We use an in-house team of experts and a leading lab to test and certify each piece of equipment. You can further extend its life with our NetGuard maintenance solution designed to protect hundreds of different equipment options from a wide range of OEMs. Browse our refurbished Alcatel-Lucent Modcell selection below and then use the contact form on this page to get a quote and ask about all of the ways we help operators, carriers, network managers and customers like you save. UMTS UTRAN NODE B, 848920252, Card Cage, Steel, One BTS Hybrid Digital Shelf Assy.